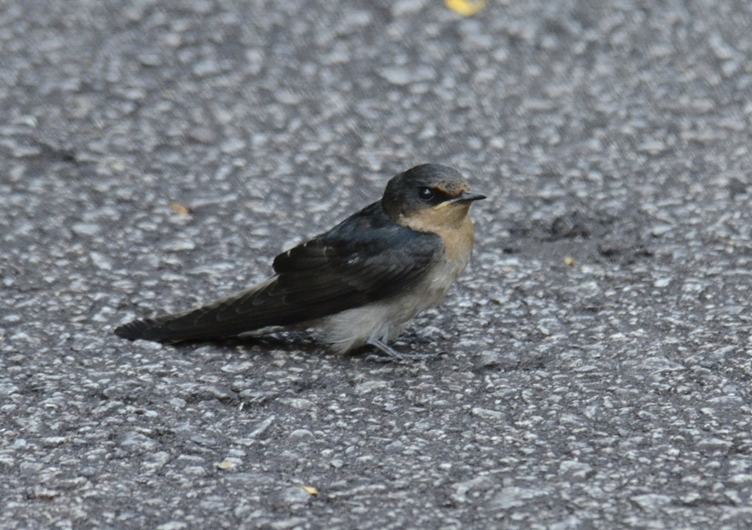 A very common swallow found in Singapore, a passerine bird unlike its closed cousin the swift or swiftlet. And like swiflets, they are fantastic flyers catching insects and eating them in the air. 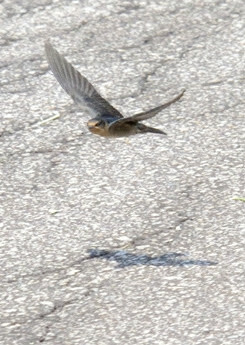 One notable difference between this swallow and swift, is that they can fly low, and as the picture shows, really low and at times come to rest on the road! 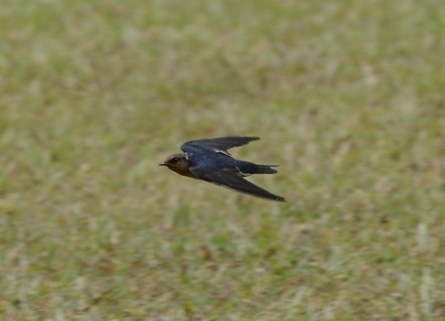 A very agile flyer, manipulating its wings to provide maximum maneuverability while in flight. 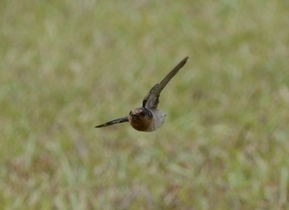 At this angle, the wings are asymmetrical, as it banked towards the right! 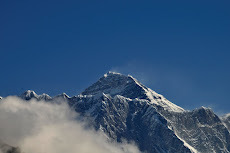 Shots were taken very near to the ground, as insects will congregate at lower elevation during a cold front, without the heat to bring them aloft. With the wings fold back, there is reduction in drag, and thus increase in speed. 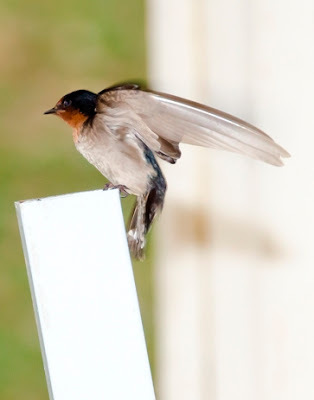 Most birds fly near to the ground to take advantage of the "low ground effect", being near to the ground, the amount of air below is sufficient to support the bird without much effort. 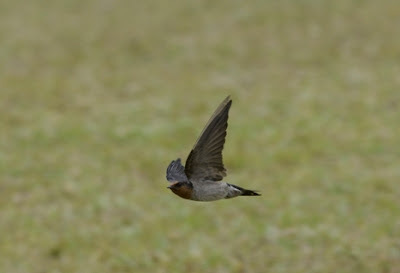 This is the same principle used in some plane that flies very near to the water level, but with much smaller wings! A docile bird on a tarmac, either getting a rest or simply enjoying the heat on this cool morning. Taken in Senai, this individual was guarding its nest while perching on a pole. The nest is build from mud and twigs. A form of madhouse formed this abode for this pair and its young's.